Classic bins, lined with galvanized steel drum riser The wood is made of galvanized steel to resist any stress. 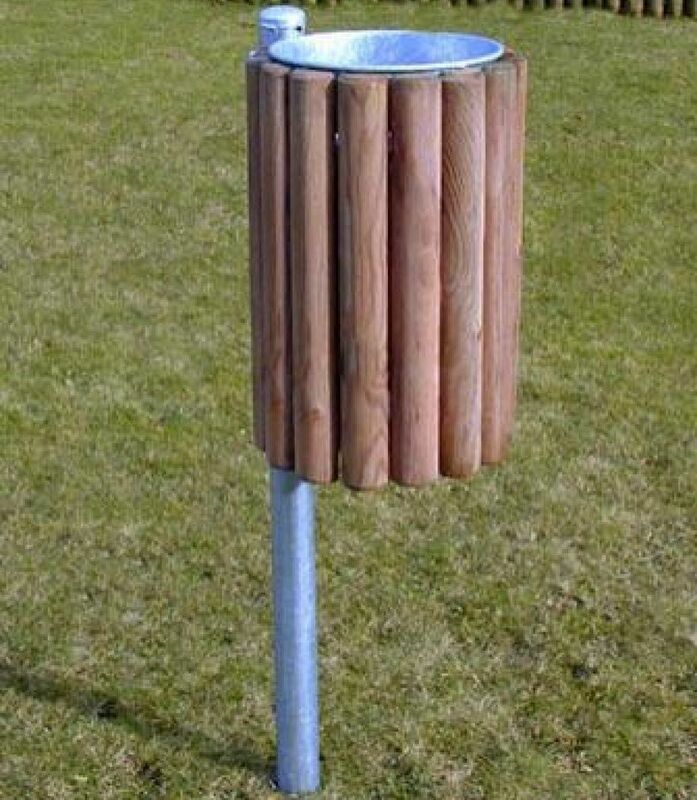 Fits well in any park or picnic area. 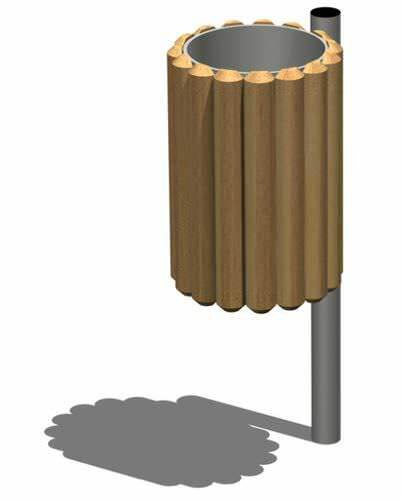 Consisting of a cylindrical basket sheet 3 mm thick perforated galvanized steel (for water drainage), coated by means round ø 60 mm Nordic wood with blunt heads, diameter 35 cm ø max. Capacity 30 liters. It should be buried or hardened ground, height 80 cm above ground.